Southern California Edison has partnered with National Comfort Institute to offer subsidized training for HVACR contractors that service SCE residential and commercial customers. 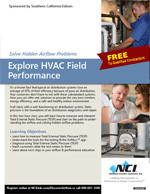 In this two-hour course, you'll learn how to measure and interpret Total External Static Pressure and start on the path to understanding fan airflow and solving hidden airflow problems. Want to add $2,000 to $3,000 to every residential installation at incredible 60 to 70% gross profit margins? Take this 1-day training to find out how! 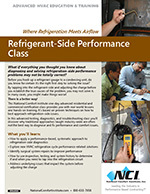 What if everything you thought you knew about diagnosing and solving refrigeration-side performance problems may not be totally correct? Learn about the better way to solve comfort issues in this 2-day course. 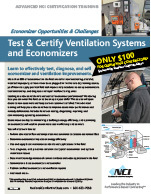 In this 2-day course, learn how to deliver high quality, profitable duct system renovations that really work! 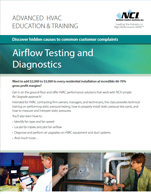 Optional day 3 is dedicated to Residential Air Balancing, the industry-standard - available only from NCI. 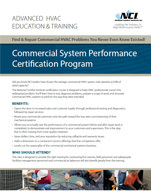 This 2-day course provides the keys to delivering true system performance, leading to enhanced comfort, safety, and energy efficiency for your customers. 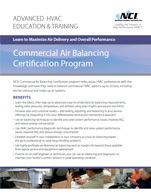 Optional day 3 is dedicated to Residential Air Balancing, available only from NCI. 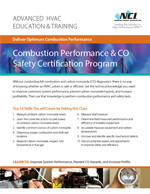 Without full combustion performance & CO safety training, there is no way of knowing whether a system is safe or efficient. With this 3-day course, not only will you be saving lives by becoming CO Certified, but you will find new sales opportunities & greater profit. 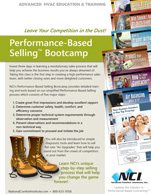 Invest three days in learning a revolutionary sales process that will help you achieve the business results you've always dreamed about. 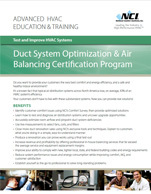 This 3-day certification course helps equip HVAC professionals with the knowledge and tools they need to balance commercial HVAC systems up to 20 tons, including Kitchen Exhaust and Make-Up Air systems. 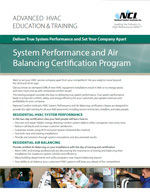 This 2-day course will show you how to deliver true system performance. It opens the door for greater opportunities for your company, including true differentiation, greater revenues, and higher profits. 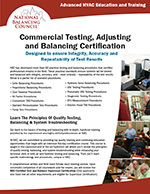 This 2-day course is an intensive training program that begins with the very basics, then moves up to advanced testing and balancing procedures required for everyday applications. 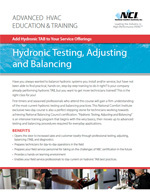 This week-long course provides thorough diagnostics that allow technicians to pinpoint system defects and deficiencies and make accurate, knowledgeable recommendations to achieve optimum performance. Only NBC offers this in-depth level analysis of your environmental systems.